Cheetahs coach Franco Smith says the two-week Pro14 break has aided their training efforts as they seek their first win of the season. DYLAN JACK reports. The Pro14 returns after an interval for the European Champions and Challenge Cup competitions, which allowed the Cheetahs to take stock of their season so far. 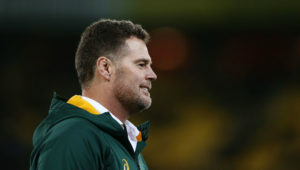 Smith told SARugbymag.co.za the break had helped rather than hindered their progress. ‘It came at a perfect time for us,’ he said. ‘We played four of our first six matches away from home, so we could not really train. Most of the games were on a Friday night too, so that made it difficult with travel and the short weeks to get maximum training effort. ‘The biggest change this week is that we’ve had our full squad and haven’t had to split it into Pro14 and Currie Cup. It was a really upsetting factor for us in the sense that we couldn’t get contact training at the beginning of the season because we were afraid of injuries. We have already lost a lot of guys in training to injury, so there was a risk associated with training at full tilt during the week. ‘We are going to manage the [Currie Cup] promotion-relegation match when it comes [against the SWD Eagles on Tuesday]. I decided we were going to go full-out [during the Pro14 break]. It was important for me to get proper opposition [during training], guys fighting to get into the team and guys fighting to stay in the team. It is a good rivalry that is positive, so we could train with a lot more urgency. 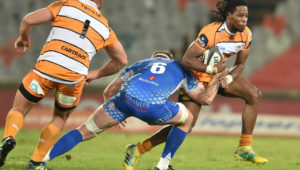 The Cheetahs will take on the Cardiff Blues in Bloemfontein on Saturday evening, after narrowly losing the reverse fixture 24-21 in Wales last month. 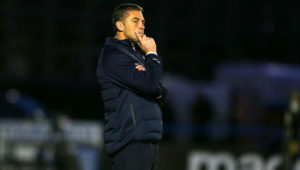 Cardiff have been active in the Champions Cup, most recently having their five-match winning run halted by a loss to Glasgow in a controversial clash in which both sides wore blue kits. 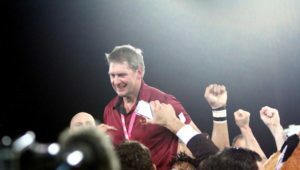 However, Smith feels their opponents will not be using that result for motivation. ‘All these teams are always fired up and I don’t think they need any special ingredient. They would be focused on playing at altitude and some of them will be travelling to South Africa for the first time. 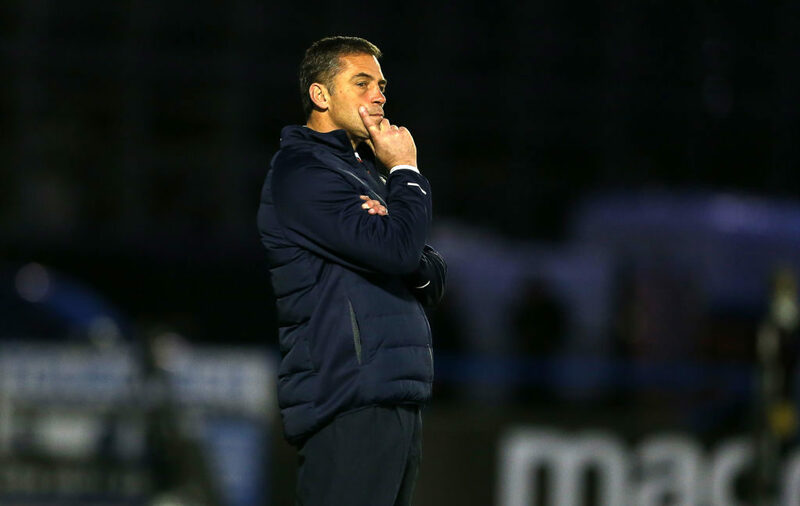 ‘For us, it will be important to put on a much better performance than what we did there. ‘They have very good players and have been playing in Europe, which lifts their intensity. You can see the way the Pro14 sides have played in Europe that there are quality sides in the Pro14.